Jurupa's Winery! 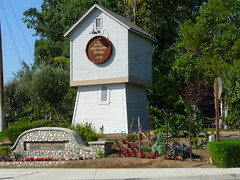 An historic winery in the North Western corner of Jurupa Valley. This is one of our first goals to answer for you. We can research what and how. We can research why others have gone through the incorporation process, but we cannot answer if we should… will it meet your needs? Incorporation gives you local control over services and standards in your community. Today your traffic control is supplied by the State of California in the form of the Highway Patrol. 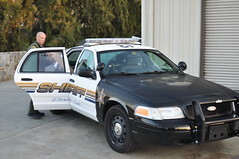 Crime and non traffic patrol services are provided by your County Sheriff department. Yes we do have a sub-station within our area, but this station supports all of the north west corner of Riverside not just our area. Other services such as your trash service is a county contract. If we become a city some or all of these services can be decided and provided by the city. Today eminent domain is a process the County has used to obtain property based on the County's "need" for the property. Incorporation leads to far more control of how this power is utilized to force the sale of property. If you look down Mission Blvd. you can see location after location where this has been exercised by the county in our area. Mission Blvd. is a Hwy 60 business route alternative. However instead of building up our retail on the road to bring customers and sales tax revenue into our area to support our community the county has built instead County Service Offices doing nothing to grow our area. Additionally, eminent domain has been exercised to force the sale of non-commercial property (horse-farms, etc.) to supply land developers for the building of tract housing. In years past our government would only use this power to build and/or improve roads and highways or other infrastructure needed as the population growth demanded it. 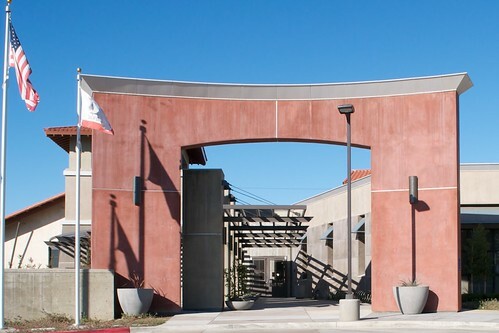 At one of the Jurupa Valley Town Hall meetings at Patriot High School one concern brought up by several people is our county's lack of planning. The intersection of	Limonite Ave. with the I-15 was one area of concern by many attending the meeting. The businesses were built, and the accompanying traffic is there. The county has attempted meager fixes to make a dent in the grid-lock after the fact, but they have admitted that it will be years before they can fund a true fix. We need more control to ensure the infrastructure is there to support the current and future before we approve growth. Currently the California Highway Patrol is responsible for patrolling our communities streets and enforce the traffic laws. Under state law this service can not be provided by our county Sheriffs. The staff level of the Highway Patrol has not been increased in around 20+ years. This is a real sore spot for our community as we only have a couple of officers dedicated to our area and they spend much of their time (as stated at the town hall meeting) at the intersection of the 15 and 60 freeways as this is a problem area for them. Many people brought up issues at the last meeting related to street racing, (including a speeding school bus), accidents, and complaints of a lack of general law enforcement. We need a City so we can either contract with the county to do both traffic and law enforcement in our area or establish our own Police Department. Here are some links to other cities in California who have recently incorporated or are in the process of incorporation. Please read through their sites, and be informed about incorporation. Do you want to have more control over what gets built, and where? Do you want to have a local Police Department responsible for your safety and security? Incorporation does not solve everything. Incorporation does not mean new or more taxes. To the contrary, the entire incorporation process is designed to determine if the new city is self supporting by the transfer of current taxes and responsibilities from the County to the newly-formed City. Additionally, there are some additional tax dollars that are available to a City (already collected at the state level) that are not available to the county that helps make all of this possible. It could even be possible to have more funds available to provide services at the city level, without one more penny out of your pocket. These tax dollars today are being given to other cities. Incorporate and bring your taxes back to your community. If you need more info on this send us a note and we can explain more.